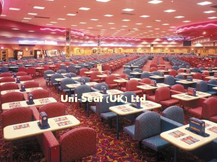 Welcome to Uni-Seat (UK) Ltd, As specialist seating contractors for the leisure and entertainment industries, we can provide you with all your upholstery needs whatever they may be. 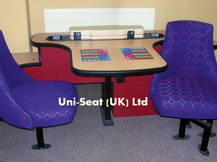 From unit, banquette (fitted) and loose seating for your bingo hall to machine stools and buffets for your arcade. From brand new to a re-upholster of your existing seating, we can cater for all your upholstery requirements.